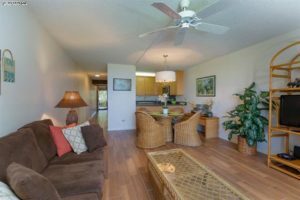 Kamaole Sands is a very popular Kihei condominium community that is located in Southern area of Kihei across the street from Kamaole Beach Park III. The lush gardens at Kamaole Sands are very memorable with many water features and a picturesque wooden bridge that goes over a pond near the entrance to the grounds. 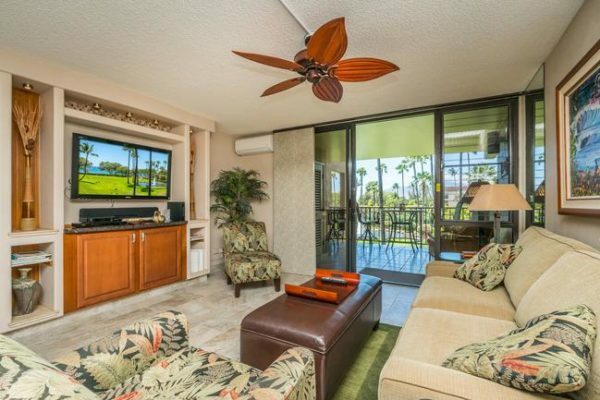 The pool area at Kamaole Sands is nestled well back from South Kihei road and is centrally located for convenient access for all the buildings. 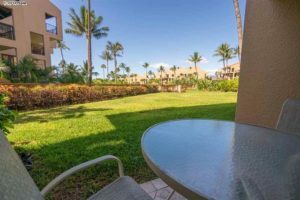 After a strong 2018 in Kamaole Sands where it saw 32 units sold for a total sales volume of $17.9 million, the market is continuing its success into early 2019. Within the last two weeks, 4 units have closed within days of one another while the 1st unit sold closed in the first 2 weeks of the year. The demand in the community continues year over year where all 5 of the units sold this year able to find a buyer in less than 4 months. In fact, 60% of the units sold entered escrow within days of being brought to market. So far in 2019, the $500k range has seen the most action with 3 out of the 5 sales; meanwhile the $600k and $700k range have seen 1 each. The 1 bedroom units have dominated sales with 60% of the units, while the sale of two 2 bedroom units round out the rest of the sales. If you would like a detailed report on sales in the community, you can check out our Kamaole Sands sold data. Although Kamaole Sands has a strong amount of listings for sale, buyers are only restricted to units in the $500k range. In this price point, units are not going to vary widely from one another and can work as substitutes for one another which is good news for buyers. The similarity in units means buyers hold a slight advantage when trying to leverage their ideal price, but they should be careful considering that Kamaole Sands will always see stiff competition if a unit is priced right. To stay up to date with the market, subscribe to our Kamaole Sands new listing alert. Please interview me to be your trusted Maui Real Estate and Lifestyle Advisor. I was born in South Maui and raised on the island, and spend a considerable amount of time to inform my clients about the best deals currently on the market. Please do not hesitate to call me for your Maui real estate needs. I am more than happy to assist you in your home search. Once again, want to thank Anthony Sayles and his team for helping me find my happy place in Maui. Anthony took the time to listen to the specifications in seeking my forever Maui home and put those to use in showing me several properties. 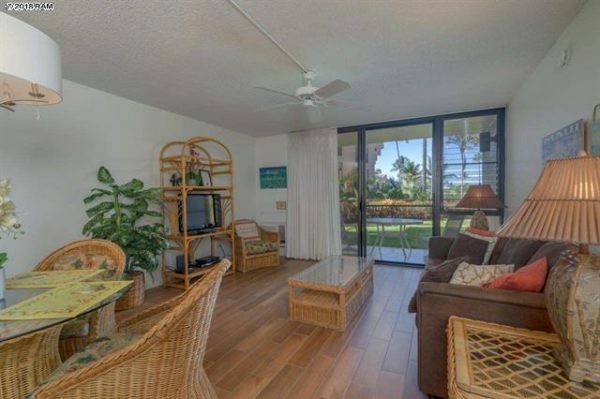 Kamaole Sands was high on my list and the right unit come on the market at the right time. His due diligence and taking the time to preview the property, as I live in Arizona. Anthony provided me his evaluation of the property after viewing it. He also shared photos to give me a clearer vision especially being 2800 miles away. I knew that this was the unit and we submitted an offer within a few minutes. The offer was presented to the sellers and the next morning we accepted their counter offer. The rest of the process was so streamlined, and his staff helped make the buying process stress free. Each step of the purchase, Anthony was there for me. He assisted in finding me a reputable mortgage broker. His team, especially Kim, were there to make sure that I met all the timelines. They even assisted in scheduling my inspections and Anthony represented me since I lived in Arizona. Again, he went out of his way to help ensure that all was done in a timely manner. I am forever grateful for his knowledge in the industry, his time spent helping me in the buying process and especially his blessed heart and the friendship that I developed along the way. If your looking for a realtor to help you do it right, and do it right the first time, Anthony Sayles is who you should choose to represent you in the Maui market. Thank you again Anthony, you truly listen to your clients and you help change their lives. I love my new Maui home! It was a journey for me to find it, but well worth it! You were my needle in the haystack and my four leaf clover in helping me find my forever Maui home.